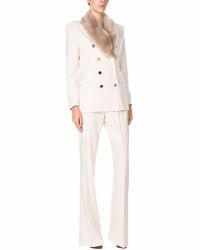 Elisabetta Franchi was launched in 1998 and its offering has expanded to include closet essentials with sophisticated and feminine appeal. The Italian born designer behind the label is well known for the curvy silhouette that has become the brand's signature, as well as for the exceptional tailoring that appears across many of the designs. 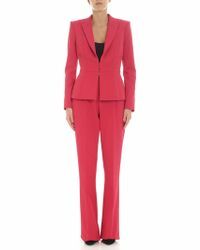 Shop the selection of suits from Elisabetta Franchi for skirt and pants suits in chic shades of camel and black.